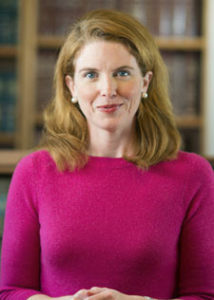 Debra Bouffard – Vermont lawyer and partner focusing on employment law, energy, telecom & broadcast - Sheehey Furlong & Behm P.C. Debra L. Bouffard joined the firm as a litigation associate in September 2004 and is a principal of the firm. Debra focuses her practice on civil litigation and serves both businesses and individuals. Debra has represented numerous utilities in matters before state and federal courts, as well as in regulatory proceedings. She also frequently counsels and advises firm clients on all types of employment-related questions, including such topics as employee hiring, discipline, discrimination and harassment claims, internal investigations, leave management, and termination. Debra provides training to management teams to facilitate compliance with state and federal employment laws, and works with employers to update and revise employment handbooks, policies and related notices and forms. Defended a hospital against employment contract claims in an arbitration brought on behalf of a group of physician specialists, winning a favorable verdict after trial to an arbitrator. Obtained injunctions against protesters and an adjacent landowner interfering with construction of a large wind farm, and in a separate lawsuit, obtained a mandatory injunction requiring a gas station owner to remove its tanks to protect neighboring businesses. Represented People’s United Bank in the protection of a mortgage collateral against government forfeiture claims and competing creditor claims. Represented Vermont’s largest retirement community in a trial involving a tax valuation of a $40 million property. Represented firm clients in employment related matters before various government agencies and courts. Served as counsel to Consolidated Communications, Holdings, Inc. in petitioning for regulatory approval from the Vermont Public Utility Commission (“VT PUC”) to acquire control of FairPoint Communications, Inc., including its Vermont subsidiaries. The VT PUC approved the merger, and Consolidated completed the FairPoint acquisition on July 3, 2017.